Head over to the Rockwell Tent this August 9, 2014 (10AM to 6PM) for a fun and magical shopping experience like no other! All About Kids bazaar will surely bring on that perfect dose of family fun as Working Mom Magazine fill theday with Demos, workshops, activity areas and exciting games for kids to enjoy as parents dig into all their favorite kiddie brands with up to 75% off in Discounts! Customers from this year's Bazaar also get a chance to win special gifts by joining in Working Mom Magazine's online photo promo. 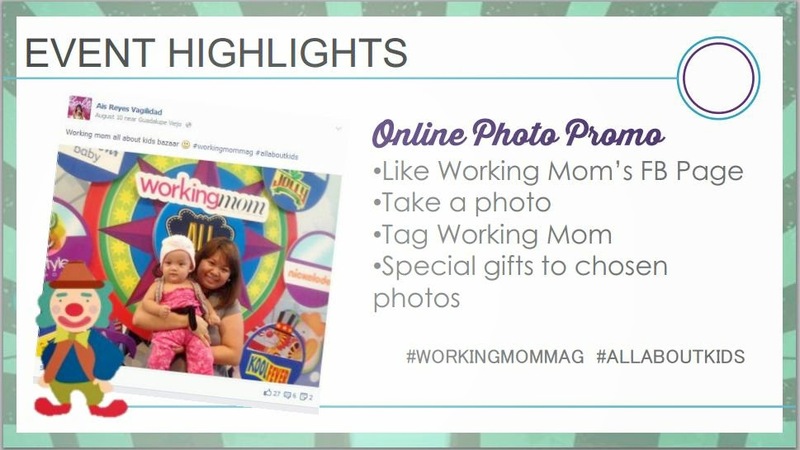 Photos taken during the event and uploaded with the required tags plus hashtags #workingmommag and #allaboutkids will qualify for the draw. 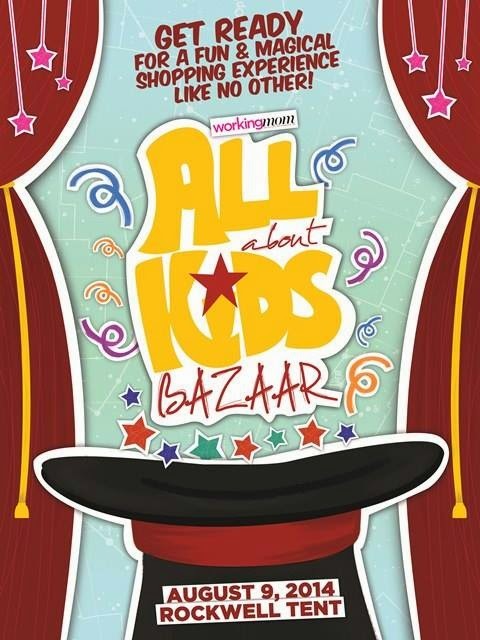 All About Kids bazaar lets you snag good deals and purchase new stuff even before it hits the local department stores. Your family can get in free by simply presenting a copy of Working Mom’s latest August 2014 issue.